Origin 2 is on tonight, meaning there’ll be plenty of footy fans popping in to the bottle shop on the way home to make sure there’s enough supplies for the night. Here’s my State of Origin drinking game, with a few important rules that need to be followed. #5 A sense of humour. Let’s face it, there will be a lot of people drinking on Wednesday night. Hopefully, responsibly. Usually, I watch the game at home or at ANZ, but on a few occasions have ventured out to a live venue to catch the action. 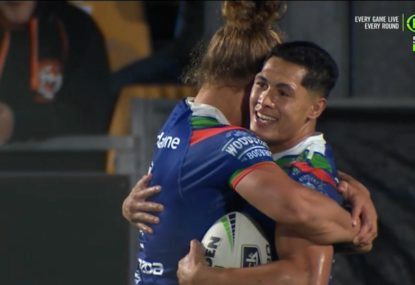 Some venues offer substantial incentives like discounted drink prices until the first try is scored, many run raffles and sweeps on what is one of the four biggest nights on the rugby league calendar. If you are couped up at home with friends, try the following and see if it helps you get through what is sure to be a long and enthralling evening of Origin. Words to listen out for. As the coverage begins the ‘atmosphere’ will be referred to as ‘building’. Commentators will fascinate you with statistical analysis such as ‘the Blues are one up in the series’ and that the ‘Queenslanders can level the series with a win tonight’. This is analysis obviously directed at people living on Pluto, and Victoria. 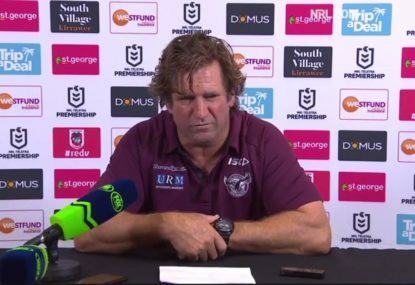 Be ready for a ‘state versus state, mate versus mate’ and don’t discount the modern trend of discussing the ‘back end’ of the game when the Queenslanders will come on strong with their ‘never say die attitude’. Considering how bloody long it will actually for the game to begin, cliché watch could last for something near 45 minutes. 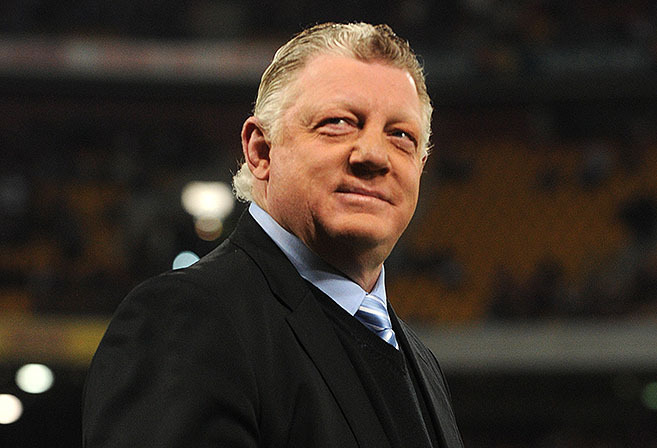 The master coach will no doubt receive a forum to wax lyrical about Origin, Blues and Queenslanders and all things league. He will be moving, not so much walking, as strutting and looming closer and closer as the camera follows his peacock like parade. Ray Warren’s guttural moan upon seeing massive contact from the big men is now famous. Never is it more powerful and emotive than at Origin time, when the best of the best come head to head. Make sure everyone in the room has a go at the impersonation, and extra credit should be awarded for being able to work the noise seamlessly into a natural commentary-like sentence. This is a sure fire way to get yourself into a pretty messy state, so I suggest replacing the beverage with peanuts or chips for this one. Actually, better make it half a peanut per mention. It’s always about Smith. If his name isn’t mentioned more than a hundred times in an Origin encounter I would be surprised. It’s why he divides public opinion, with most able to see the true genius and rare abilities of a mid-sized ageing veteran who still controls a game like no one I have seen. Others truly believe in the conspiracy theory around referee whispering and an inherent bias. Good players in opposition teams make people angry because they are just too darn good. Much will be made of the Maroons and their capacity to fight to the death and come back from seemingly unwinnable positions. Even with the Blues up by plenty in Origin 1, the talk still centred around the dangerous Queenslanders. 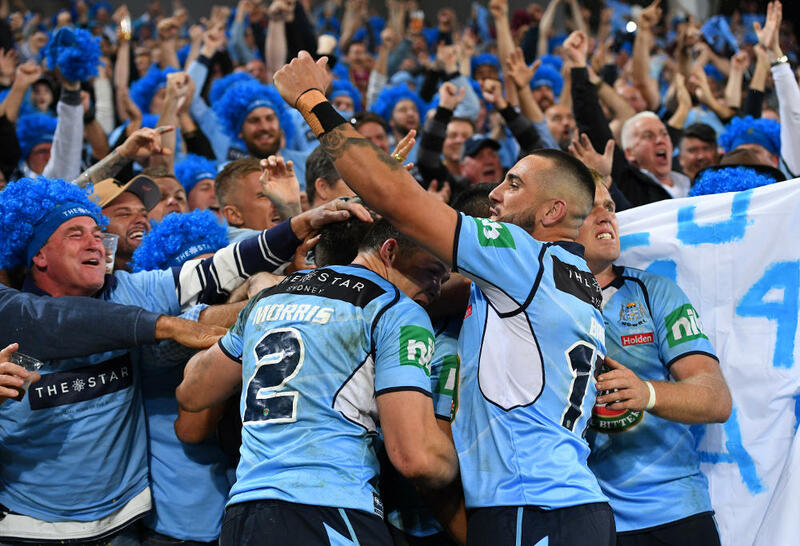 In truth, it never looked like happening, in fact, they looked more dangerous in the first half than late in the game when the New South Wales dominance had been clearly established. However, we will all have ‘that try’ in the back of our minds, on whichever side of the Origin fence we sit. That first lone Origin match in 1980 when a player dared ‘clock’ a teammate will live in folklore. It set a tone and a standard that the modern players rarely fail to match. This history will be celebrated and heralded through footage from the archives. Just like Miss Helena looking through the mirror, you will see Arthur Beetson off-loading, I can see Peter Sterling scheming, there’s Wally Lewis scoring that try in the right hand corner after a turn-over and a collage of former Origin greats will unravel before your very eyes. Sad as it is to say, it appears almost inevitable. 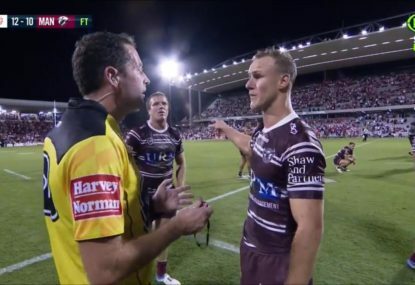 Each and every NRL match seems to contain a dubious call and the speed at which Origin is played suggests both referees and video referees will succumb under the pressure. When it does happen, raise your class proudly and call for their sackings, knowing full well that their replacement is just as incompetent. In the end, laugh it off. Otherwise you might end up sitting in a rocking chair in your sunroom, muttering fragmented statements about the travesty of your loss, all the while having flashbacks of a silver-haired chicken tycoon grinning at your anguish. The big story for Game 2 is the return of two key members of this great Queensland team. No matter your view on either, it might be the last hurrah. 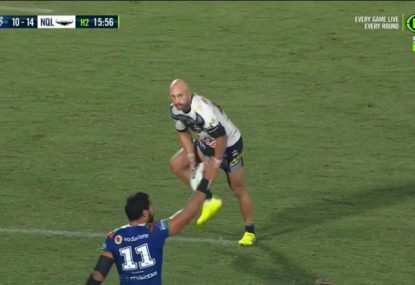 I for one, will be more than happy to take one mighty swig and form an ironic grin if Slater, running a brilliant angle, storms into the in-goal area and grounds a brilliantly weighted Thurston kick that teases a triangle of Blues defenders. Have fun, wherever your Origin experience takes you. The lead in to the game appears to have regained some of the energy that existed prior to the Queenslanders period of dominance and the concept looks a little healthier than it did some years back. Around 10.30pm the Blues, with a victory, will have wrestled back the series with a real chance at dominance in the short term with a powerful pack and talent to burn. 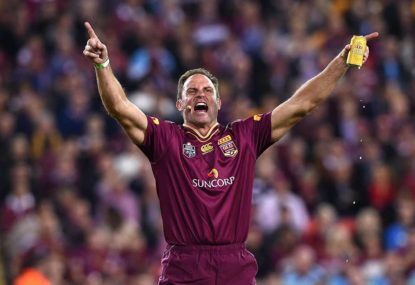 With a Blues loss, Queensland will have reminded us all why they were able to dominate the series for so long and set up the mother of all deciders in a few weeks’ time.